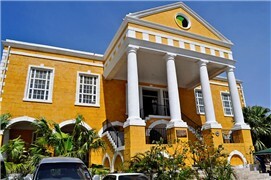 As a new port of call, Falmouth, Jamaica, is a historic seaport once the richest port south of Charleston SC. Today, Royal Caribbean and other lines are calling at this port that's a bit lost in time. New cruise facilities have been created and the sleepy town is undergoing a makeover. But Falmouth is an authentic experience with good tourism potential. Freelance editor Lizz Dinnigan takes the historic walking tour and provides her first-hand gleanings for readers.